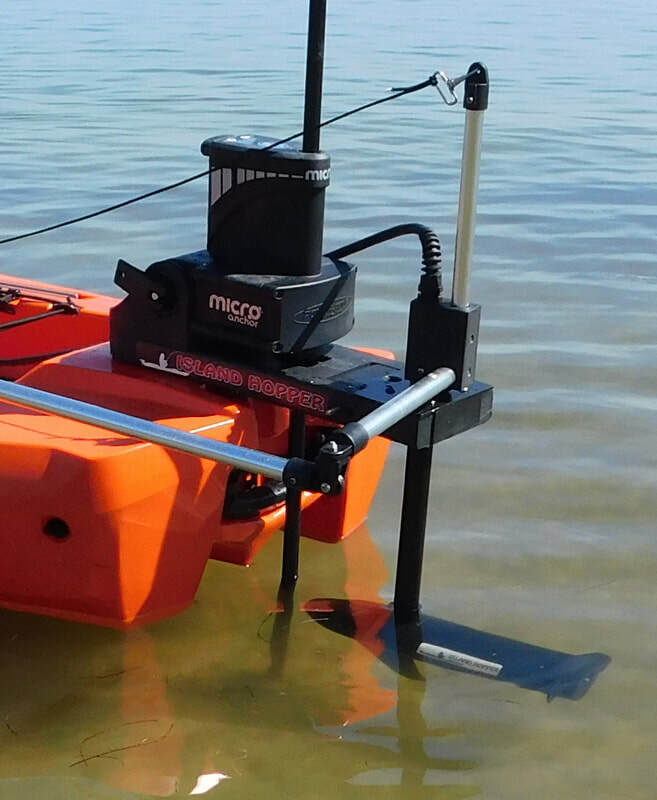 Exclusively Designed For the Kayak Owner with a Power Pole ready kayak, Who Owns a Power Pole and Want a Transom Mounted Trolling Motor. ​Lifts and Pivots out of water for beaching kayak. Installs within seconds. Remove slip pin for quick removal and storage. Power Pole Sold Separately. 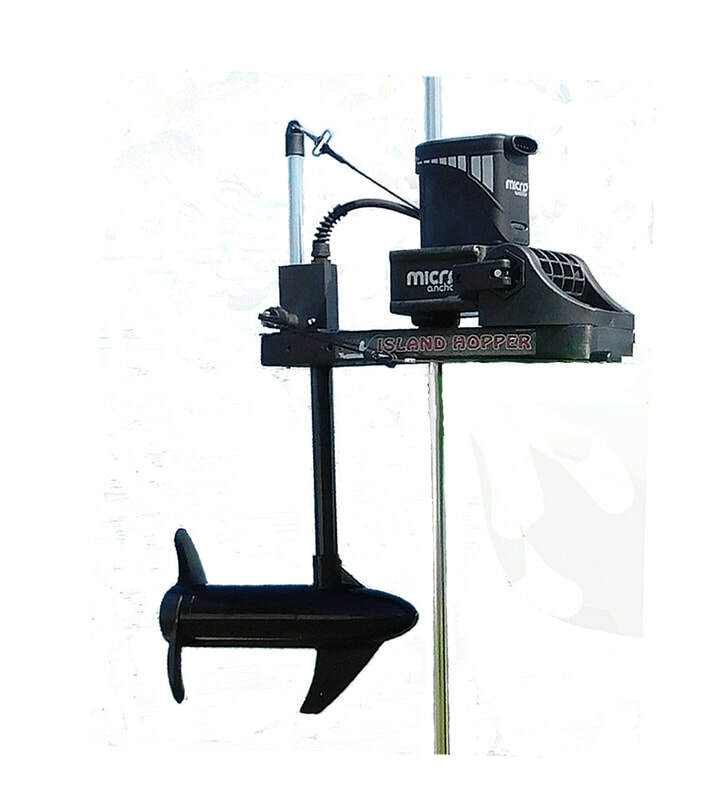 Includes trolling motor with customized mounting bracket which will accept Power Pole, hand held remote controller with 5 speeds forward and 3 speeds reverse, telescoping steering handle, motor lifting cord kit with cleat, slip pin for quick removal and storage, and all stainless steel hardware required for installation. Power Pole not included. 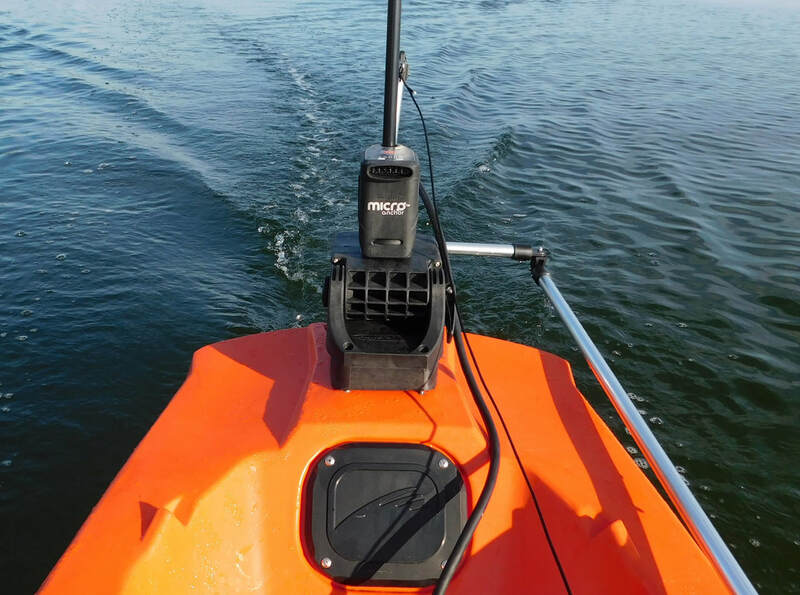 Includes trolling motor with customized mounting bracket which will accept Power Pole, hand held remote controller with 5 speeds forward and 3 speeds reverse, cable rudder clips, motor lifting cord kit with cleat, slip pin for quick removal and storage, and all stainless steel hardware required for installation. Power Pole not included. 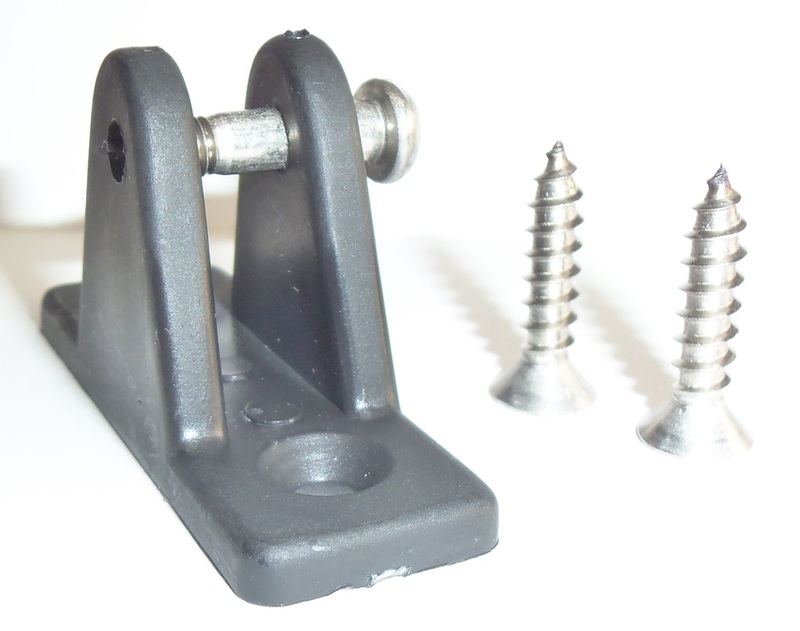 Surface Mount installs with the included rudder cable clips to existing rudder cables of kayak. Island Hopper Transom Motors for Power Pole ready kayaks, are pre-assembled and ready to install with in moments. 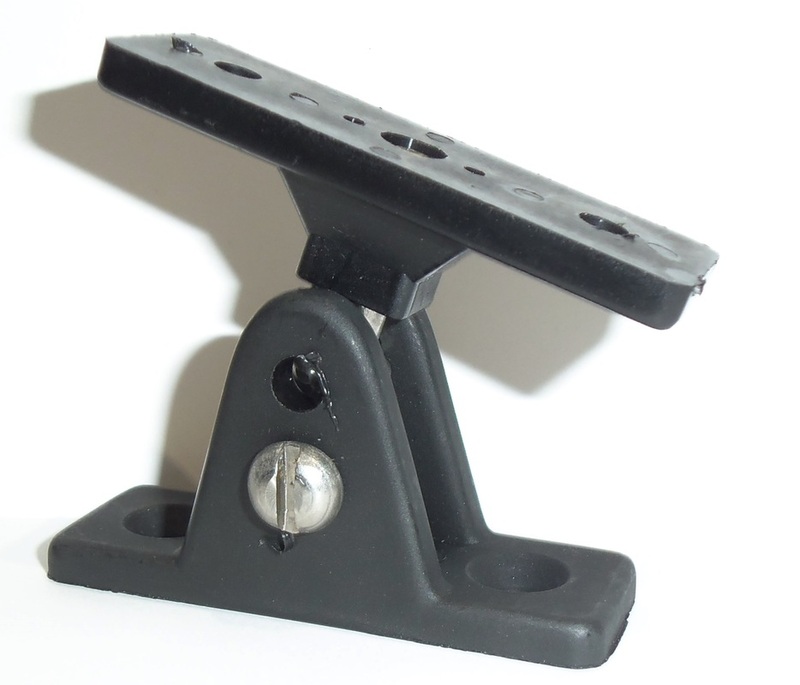 Add your Power Pole to our Transom Mount, which has been designed just for Power Pole. and a battery, and you'll be on your way to a fun filled day with motorized comfort navigating and anchoring. 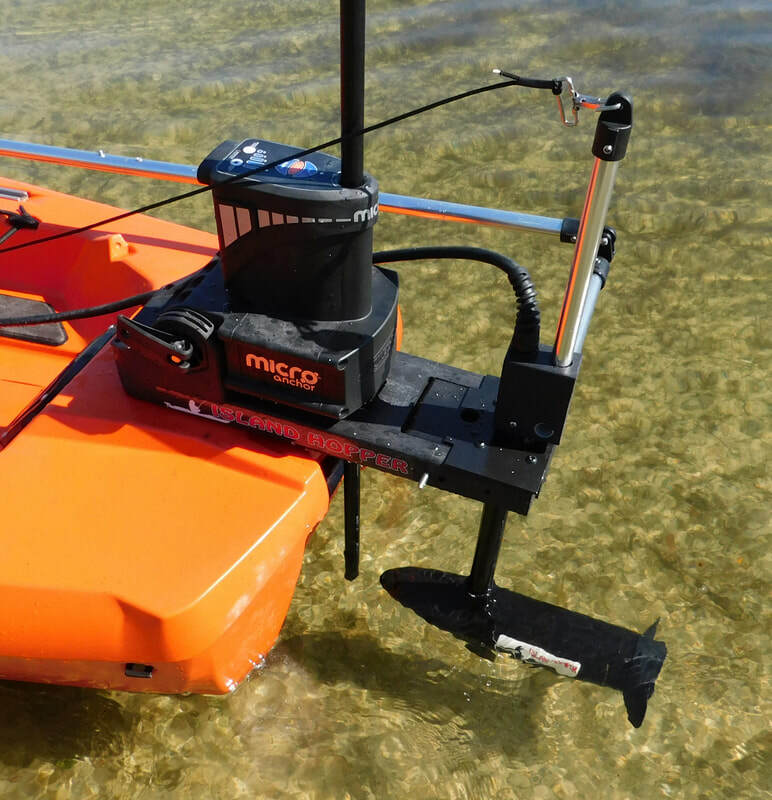 ​Includes Lift Kit, which allows the motor to tilt out of water, for eazy beaching. 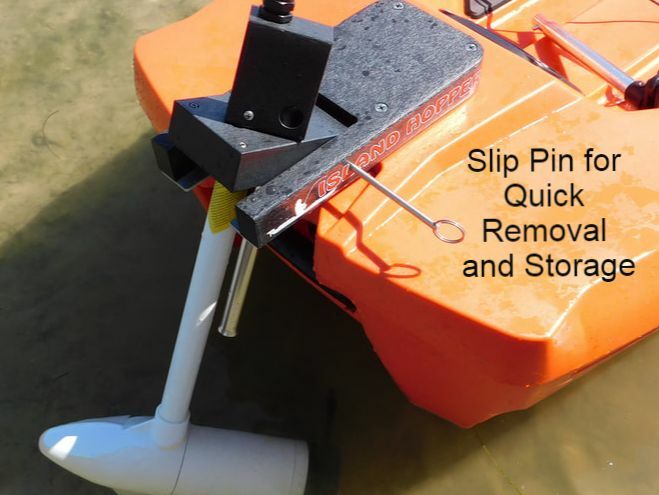 Easy installation transom mount kits that are dependable and will fit kayak brands with direct integration for Power Pole systems. 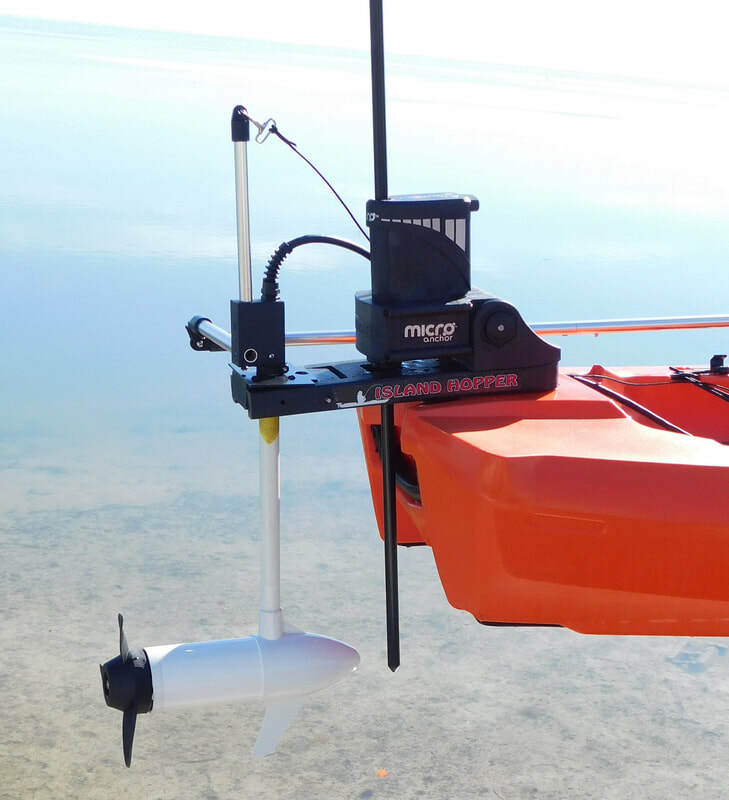 Transom Mount trolling motors have been engineered to be installed directly into the Power Pole insert with four stainless screws provided, with no modification to kayak. No unsightly wires, just two flexible cables: one to the remote control box and one to the battery terminals. The motor and shaft are low in profile and compact in size making it easy for removal and storage. Power Pole Sold Separately.